Meet up on Earth Day for the Erie Canal Clean Sweep. New York’s largest Earth Day clean-up event. 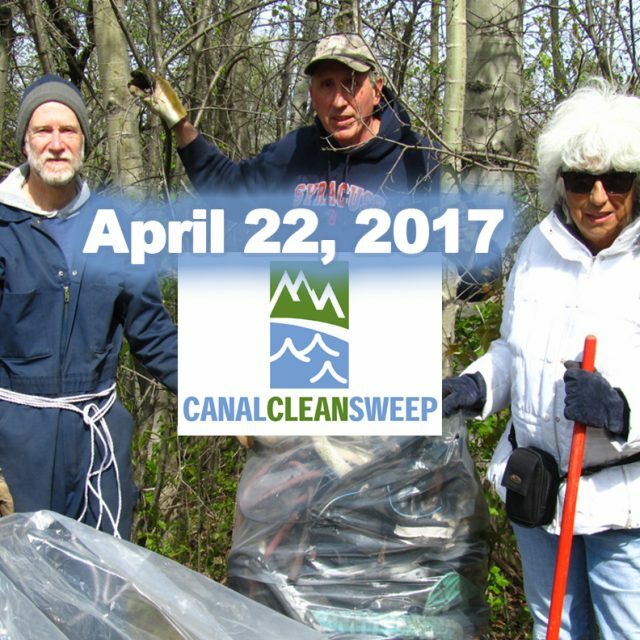 Each year the NYS Canal Corporation and Parks & Trails New York hosts volunteer events along the New York State Canal System as part of the 12th annual Canal Clean Sweep. In Lyons volunteers will clean from Geneva Street/ Route 14 bridge, along canal bank and dock area to Lock 27 and bike trail to Abbey Park. Meet up at 9:00 A.M.